Tens of thousands of protesters rallied in the northern Spanish cities of Bilbao and Bayonne to demand the “repatriation” of more than 400 prisoners linked to the Basque separatist group ETA who are being held in dozens of prisons across Spain and France. Families of the convicts, who are dispersed across 73 prisons in France and Spain, led the march with a banner which called for "Basque prisoners in the Basque country" on Saturday. Organizers estimated that some 70,000 people attended the Bilbao rally while organizers of a simultaneous rally in Bayonne, the largest city in The French Basque Country claimed that 10,000 people marched there. Police said the Bayonne figure was closer to 7,500, according to The Local. Joseba Azkarraga, spokesman for a group defending the rights of ETA-linked prisoners, called on politicians "to end of the suffering of thousands of families who are affected by the dispersion" and asked for prisoners in ill health to be released. Rosa Rodero, whose husband, a policeman, was killed by the ETA 22 years ago was among those marching for the Basque prisoners rights. 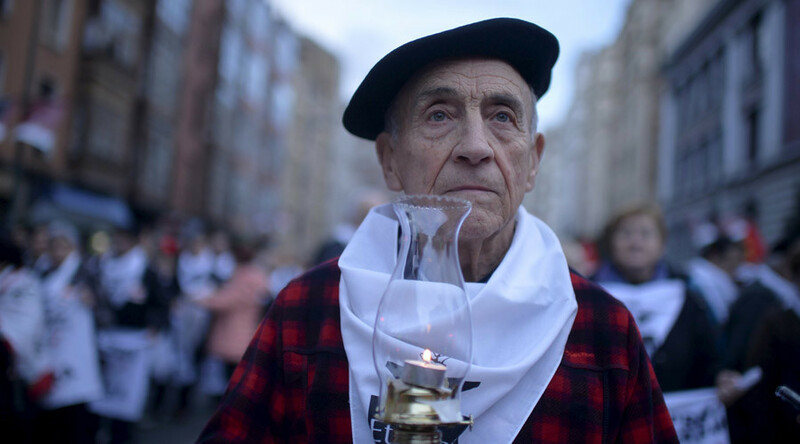 The ETA (Euskadi ta Askatasuna, or Basque Fatherland and Liberty in Basque) has claimed responsibility for the deaths of 829 people over 40 years, but renounced violence in its struggle for independence four years ago. The organization has refused to disband, largely so it can continue to represent members and allies still being held in prison. 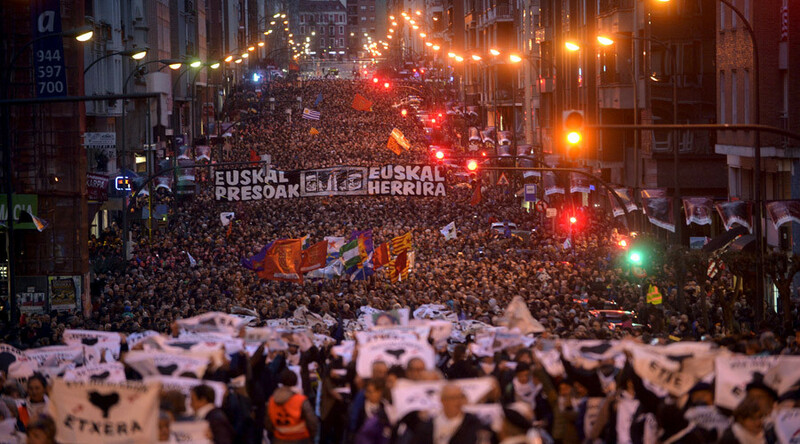 Last year tens of thousands also turned out in Bilbao calling for an amnesty to allow ETA prisoners to serve the remainder of their sentences in the Basque region.